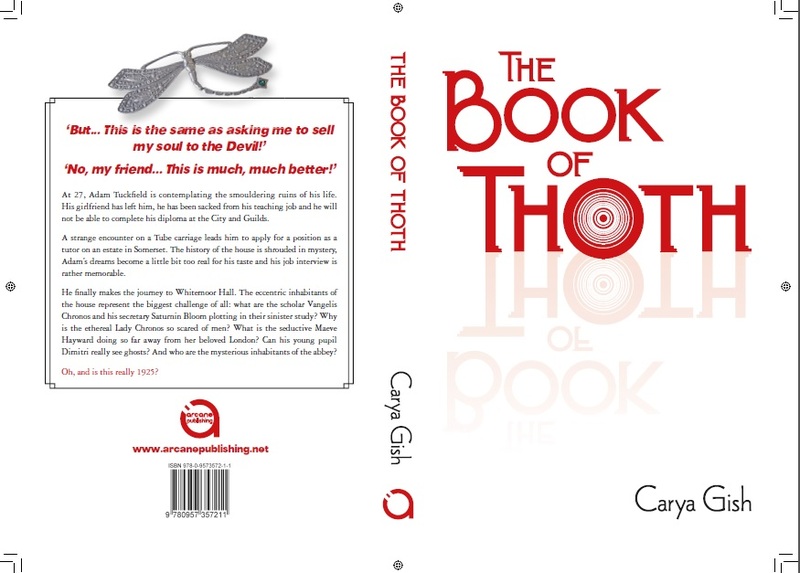 For more information about The Book of Thoth, please go to THE BOOK OF THOTH PAGE on Miss Carya Gish's website. The Book of Thoth is a Gothic Novel. A strange encounter on a Tube carriage leads him to apply for a position as a private tutor at Whitemoor Hall, a private estate in Somerset. From the day he sends off his application, Adam’s life takes an unusual turn: the history of the house is shrouded in mystery, his dreams become a little bit too real for his own taste and his successful job interview is rather memorable.